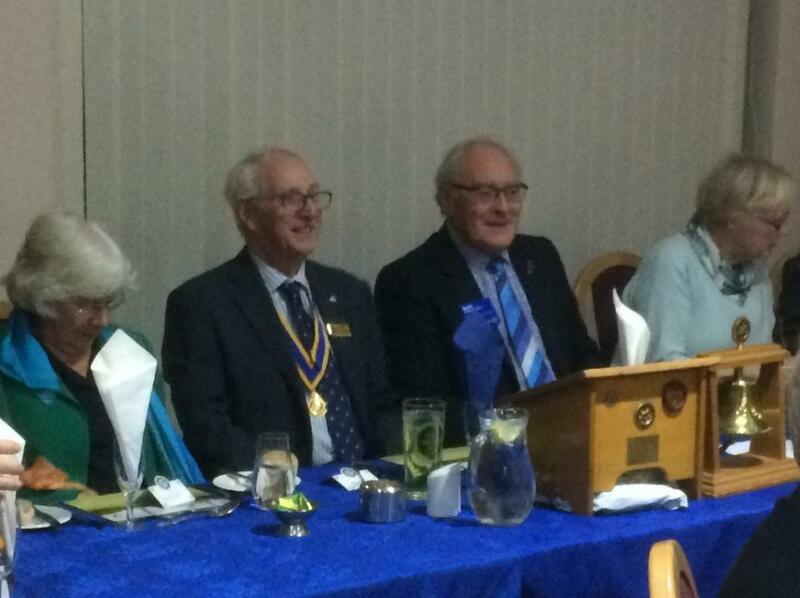 Around 60 Rotarians and Guests from Cambridge South, Cambridge Sawston and other Clubs including Saffron Walden and Sudbury attended (sadly didn't see any representation from Cambridge RC or Rutherford). Enjoyed a tasty roast chicken with vegetables main course, followed by rhubarb crumble and custard, coffee and mints. In his after dinner address RI Director Brian Stoyal explained that he was one of 16 Directors from major countries on the RI Board. He represented 2 of the 34 RI Zones, and was the only Director from RIBI. Each Director served a 2-year term, though he felt that this should be extended to three years, as the first year tended to be a rapid learning process, he felt comfortable in his 2nd year (with 6 months left to run), and considered he might be able to achieve a lot more in a third year. 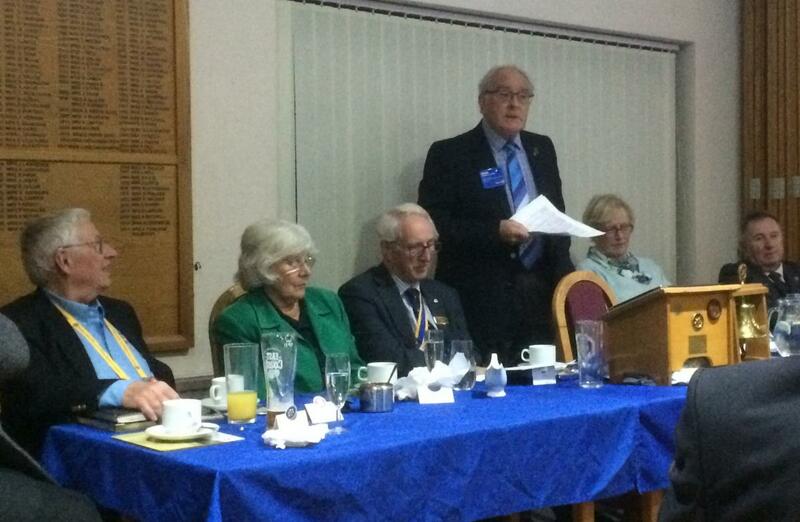 He had spent some time as a member of the Audit Committee where one of his achievements had been to arrange for donations to the Rotary Foundation to be more specific to the interests of the donors rather than just to the general fund. Only one of the four Directors' Meetings each year was held in RI HQ in Evanston, another being held at the Annual Rotary Convention (this year in Toronto). Each meeting usually lasted around 4 hours discussing Rotary policy, projects and aspirations, and some of the Directors didn't speak English, so had to take part in proceedings using headphones and the assistance of translators provided by RI permanent staff. His role as a Director involved a great deal of international travelling, and he had visited over a dozen countries throughout the world, including India and Africa, to view projects and obtain the views of Rotarians around the globe. Sadly and surprisingly membership of Rotary in the USA had declined by 30% over the past 10 years, but in other parts of the world, notably India and Asia, it is expanding rapidly. There is generally much more informality than 20 years ago, except in Japan where Club Meetings and activities are treated with great formality and respect.